In this latest lesson of Coffee Break French we’ll be joining Veronica and listening to her final text. She has been learning French in Nice along with Katie and Alf and in this final text she updates us on what she has been doing and tells us of some important decisions she has taken. Please note that lesson 29 of Season 3 was originally known as lesson 329 of Coffee Break French. We have renumbered the lessons of each season as lessons 1-40 to make things more simple for our listeners.This season of Coffee Break French features a total of 40 lessons, all of which will be included in the podcast feed. Just stay subscribed to the podcast to enjoy each episode. If you’d like to benefit from video versions, lesson notes and bonus audio materials, you can access the premium version of Coffee Break French in the Coffee Break Academy.Don’t forget to follow Coffee Break French on Facebook where we post language activities, cultural points and review materials to help you practise your French. Remember - a few minutes a day can help you build your confidence in the language. Access the Coffee Break French Facebook page here.If you’d like to find out what goes on behind the scenes here at Coffee Break Languages, follow @coffeebreaklanguages on Instagram.You can also check out our Coffee Break French Twitter page and the Coffee Break Languages YouTube channel. It’s time for another lesson of Coffee Break French and this week we join Alf in his final text. He has been writing a diary over eight weeks while he has been renovating his new house in the south of France and attending daily French lessons with Veronica and Katie, the two other protagonists of our series. In this week’s text he tells us about the party he organised for his classmates. Please note that lesson 30 of Season 3 was originally known as lesson 330 of Coffee Break French. We have renumbered the lessons of each season as lessons 1-40 to make things more simple for our listeners.This season of Coffee Break French features a total of 40 lessons, all of which will be included in the podcast feed. Just stay subscribed to the podcast to enjoy each episode. If you’d like to benefit from video versions, lesson notes and bonus audio materials, you can access the premium version of Coffee Break French in the Coffee Break Academy.Don’t forget to follow Coffee Break French on Facebook where we post language activities, cultural points and review materials to help you practise your French. Remember - a few minutes a day can help you build your confidence in the language. Access the Coffee Break French Facebook page here.If you’d like to find out what goes on behind the scenes here at Coffee Break Languages, follow @coffeebreaklanguages on Instagram.You can also check out our Coffee Break French Twitter page and the Coffee Break Languages YouTube channel. Welcome to the very first episode of Coffee Break French! To kick start the series we're starting with the basics as we're teaching you how to ask people how they’re feeling. You'll also learn how to respond to this question in a number of ways.This season of Coffee Break French features a total of 40 lessons, all of which will be included in the podcast feed. Just stay subscribed to the podcast to enjoy each episode. If you’d like to benefit from video versions, lesson notes and bonus audio materials, you can access the premium version of Coffee Break French in the Coffee Break Academy.Don’t forget to follow Coffee Break French on Facebook where we post language activities, cultural points and review materials to help you practise your French. Remember - a few minutes a day can help you build your confidence in the language. Access the Coffee Break French Facebook page here.If you’d like to find out what goes on behind the scenes here at Coffee Break Languages, follow @coffeebreaklanguages on Instagram.You can also check out our Coffee Break French Twitter page and the Coffee Break Languages YouTube channel. Did you know that there are different ways of greeting people depending on the time of day in France? In this episode, we'll teach you how to greet people at different times of the day. You'll also learn how to say your name in French.This season of Coffee Break French features a total of 40 lessons, all of which will be included in the podcast feed. Just stay subscribed to the podcast to enjoy each episode. If you’d like to benefit from video versions, lesson notes and bonus audio materials, you can access the premium version of Coffee Break French in the Coffee Break Academy.Don’t forget to follow Coffee Break French on Facebook where we post language activities, cultural points and review materials to help you practise your French. Remember - a few minutes a day can help you build your confidence in the language. Access the Coffee Break French Facebook page here.If you’d like to find out what goes on behind the scenes here at Coffee Break Languages, follow @coffeebreaklanguages on Instagram.You can also check out our Coffee Break French Twitter page and the Coffee Break Languages YouTube channel. In this lesson you'll learn to say where you come from and to talk about your nationality. You'll also learn the names for some countries in French.This season of Coffee Break French features a total of 40 lessons, all of which will be included in the podcast feed. Just stay subscribed to the podcast to enjoy each episode. If you’d like to benefit from video versions, lesson notes and bonus audio materials, you can access the premium version of Coffee Break French in the Coffee Break Academy.Don’t forget to follow Coffee Break French on Facebook where we post language activities, cultural points and review materials to help you practise your French. Remember - a few minutes a day can help you build your confidence in the language. Access the Coffee Break French Facebook page here.If you’d like to find out what goes on behind the scenes here at Coffee Break Languages, follow @coffeebreaklanguages on Instagram.You can also check out our Coffee Break French Twitter page and the Coffee Break Languages YouTube channel. You already know how to say where you come from and talk about your nationality, but what about where you live now? 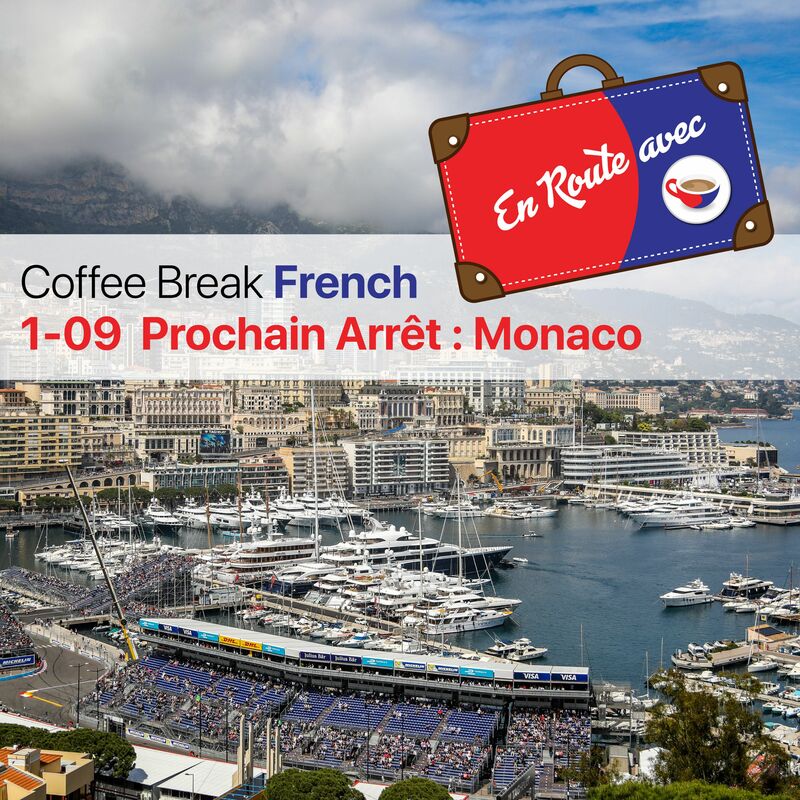 In this episode you'll learn to say "I live in ..." and you'll also learn the names for some towns and cities in French.This season of Coffee Break French features a total of 40 lessons, all of which will be included in the podcast feed. Just stay subscribed to the podcast to enjoy each episode. If you’d like to benefit from video versions, lesson notes and bonus audio materials, you can access the premium version of Coffee Break French in the Coffee Break Academy.Don’t forget to follow Coffee Break French on Facebook where we post language activities, cultural points and review materials to help you practise your French. Remember - a few minutes a day can help you build your confidence in the language. Access the Coffee Break French Facebook page here.If you’d like to find out what goes on behind the scenes here at Coffee Break Languages, follow @coffeebreaklanguages on Instagram.You can also check out our Coffee Break French Twitter page and the Coffee Break Languages YouTube channel. In this episode, we'll teach you the words for family members in French and you'll learn to introduce them. There's also more practice of what you've learned in previous lessons.This season of Coffee Break French features a total of 40 lessons, all of which will be included in the podcast feed. Just stay subscribed to the podcast to enjoy each episode. If you’d like to benefit from video versions, lesson notes and bonus audio materials, you can access the premium version of Coffee Break French in the Coffee Break Academy.Don’t forget to follow Coffee Break French on Facebook where we post language activities, cultural points and review materials to help you practise your French. Remember - a few minutes a day can help you build your confidence in the language. Access the Coffee Break French Facebook page here.If you’d like to find out what goes on behind the scenes here at Coffee Break Languages, follow @coffeebreaklanguages on Instagram.You can also check out our Coffee Break French Twitter page and the Coffee Break Languages YouTube channel. In this episode we're continuing the theme of family members and also learning to count in French, focusing on numbers from 1-10. This season of Coffee Break French features a total of 40 lessons, all of which will be included in the podcast feed. Just stay subscribed to the podcast to enjoy each episode. If you’d like to benefit from video versions, lesson notes and bonus audio materials, you can access the premium version of Coffee Break French in the Coffee Break Academy.Don’t forget to follow Coffee Break French on Facebook where we post language activities, cultural points and review materials to help you practise your French. Remember - a few minutes a day can help you build your confidence in the language. Access the Coffee Break French Facebook page here.If you’d like to find out what goes on behind the scenes here at Coffee Break Languages, follow @coffeebreaklanguages on Instagram.You can also check out our Coffee Break French Twitter page and the Coffee Break Languages YouTube channel. In this episode of Coffee Break French, we'll teach you how to talk about your job using the appropriate vocabulary.This season of Coffee Break French features a total of 40 lessons, all of which will be included in the podcast feed. Just stay subscribed to the podcast to enjoy each episode. If you’d like to benefit from video versions, lesson notes and bonus audio materials, you can access the premium version of Coffee Break French in the Coffee Break Academy.Don’t forget to follow Coffee Break French on Facebook where we post language activities, cultural points and review materials to help you practise your French. Remember - a few minutes a day can help you build your confidence in the language. Access the Coffee Break French Facebook page here.If you’d like to find out what goes on behind the scenes here at Coffee Break Languages, follow @coffeebreaklanguages on Instagram.You can also check out our Coffee Break French Twitter page and the Coffee Break Languages YouTube channel. In this episode you’ll learn how to express opinions about your likes and dislikes. We'll teach you the the necessary vocabulary to make your feelings known in French.This season of Coffee Break French features a total of 40 lessons, all of which will be included in the podcast feed. Just stay subscribed to the podcast to enjoy each episode. 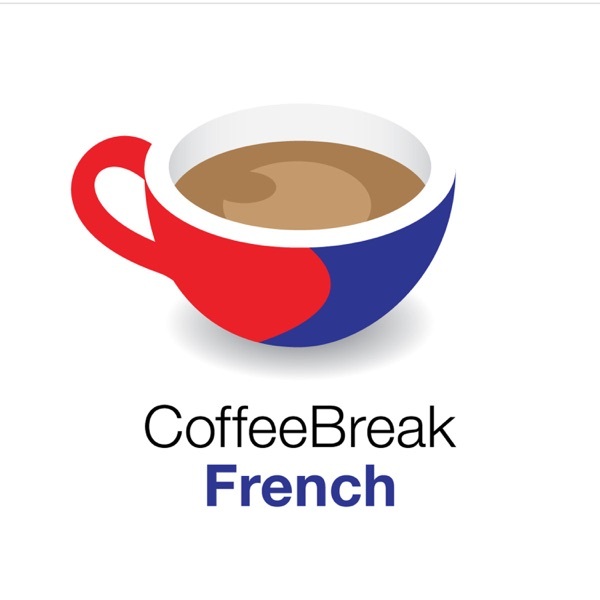 If you’d like to benefit from video versions, lesson notes and bonus audio materials, you can access the premium version of Coffee Break French in the Coffee Break Academy.Don’t forget to follow Coffee Break French on Facebook where we post language activities, cultural points and review materials to help you practise your French. Remember - a few minutes a day can help you build your confidence in the language. Access the Coffee Break French Facebook page here.If you’d like to find out what goes on behind the scenes here at Coffee Break Languages, follow @coffeebreaklanguages on Instagram.You can also check out our Coffee Break French Twitter page and the Coffee Break Languages YouTube channel. In this episode we’ll take the chance to go over what you’ve learned so far in Coffee Break French. You should be able to introduce yourself, talk about where you're from, your family and count from 1-10.This season of Coffee Break French features a total of 40 lessons, all of which will be included in the podcast feed. Just stay subscribed to the podcast to enjoy each episode. If you’d like to benefit from video versions, lesson notes and bonus audio materials, you can access the premium version of Coffee Break French in the Coffee Break Academy.Don’t forget to follow Coffee Break French on Facebook where we post language activities, cultural points and review materials to help you practise your French. Remember - a few minutes a day can help you build your confidence in the language. Access the Coffee Break French Facebook page here.If you’d like to find out what goes on behind the scenes here at Coffee Break Languages, follow @coffeebreaklanguages on Instagram.You can also check out our Coffee Break French Twitter page and the Coffee Break Languages YouTube channel. In this episode of Coffee Break French, you’ll join Mark and Anna for some Festive French Fun!This season of Coffee Break French features a total of 40 lessons, all of which will be included in the podcast feed. Just stay subscribed to the podcast to enjoy each episode. If you’d like to benefit from video versions, lesson notes and bonus audio materials, you can access the premium version of Coffee Break French in the Coffee Break Academy.Don’t forget to follow Coffee Break French on Facebook where we post language activities, cultural points and review materials to help you practise your French. Remember - a few minutes a day can help you build your confidence in the language. Access the Coffee Break French Facebook page here.If you’d like to find out what goes on behind the scenes here at Coffee Break Languages, follow @coffeebreaklanguages on Instagram.You can also check out our Coffee Break French Twitter page and the Coffee Break Languages YouTube channel. Have you ever found it difficult to understand what people are saying to you in French? In this episode you’ll learn how to cope with language difficulties and to talk about the languages you speak.This season of Coffee Break French features a total of 40 lessons, all of which will be included in the podcast feed. Just stay subscribed to the podcast to enjoy each episode. If you’d like to benefit from video versions, lesson notes and bonus audio materials, you can access the premium version of Coffee Break French in the Coffee Break Academy.Don’t forget to follow Coffee Break French on Facebook where we post language activities, cultural points and review materials to help you practise your French. Remember - a few minutes a day can help you build your confidence in the language. Access the Coffee Break French Facebook page here.If you’d like to find out what goes on behind the scenes here at Coffee Break Languages, follow @coffeebreaklanguages on Instagram.You can also check out our Coffee Break French Twitter page and the Coffee Break Languages YouTube channel. In this episode we're teaching you more numbers. By the end of this podcast you'll have learned numbers from 11 to 1000. We'll also teach you the days of the week, and the months and seasons of the year.This season of Coffee Break French features a total of 40 lessons, all of which will be included in the podcast feed. Just stay subscribed to the podcast to enjoy each episode. If you’d like to benefit from video versions, lesson notes and bonus audio materials, you can access the premium version of Coffee Break French in the Coffee Break Academy.Don’t forget to follow Coffee Break French on Facebook where we post language activities, cultural points and review materials to help you practise your French. Remember - a few minutes a day can help you build your confidence in the language. Access the Coffee Break French Facebook page here.If you’d like to find out what goes on behind the scenes here at Coffee Break Languages, follow @coffeebreaklanguages on Instagram.You can also check out our Coffee Break French Twitter page and the Coffee Break Languages YouTube channel. In this episode, you’ll learn to ask for directions. We'll teach you how to ask where places in the town are and understand the words for "where", "here" and "there".This season of Coffee Break French features a total of 40 lessons, all of which will be included in the podcast feed. Just stay subscribed to the podcast to enjoy each episode. If you’d like to benefit from video versions, lesson notes and bonus audio materials, you can access the premium version of Coffee Break French in the Coffee Break Academy.Don’t forget to follow Coffee Break French on Facebook where we post language activities, cultural points and review materials to help you practise your French. Remember - a few minutes a day can help you build your confidence in the language. Access the Coffee Break French Facebook page here.If you’d like to find out what goes on behind the scenes here at Coffee Break Languages, follow @coffeebreaklanguages on Instagram.You can also check out our Coffee Break French Twitter page and the Coffee Break Languages YouTube channel.